As part of a larger research project aimed at transforming preK-8 mathematics teacher preparation, the purpose of this study was to examine the extent to which prospective teachers notice children’s competencies related to children’s mathematical thinking, and children’s community, cultural, and linguistic funds of knowledge or what we refer to as children’s multiple mathematical knowledge bases. Teachers’ noticing supports students’ learning in deep and meaningful ways. Researchers designed and enacted a video analysis activity with prospective teachers in their mathematics methods course. The activity served as a decomposition of practice in order to support prospective teachers in engaging in an approximation of the practice of noticing. 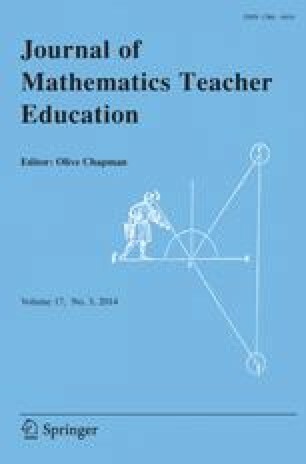 Our findings showed that prospective teachers evidenced noticing of mathematics teaching and learning as early as the mathematics methods course. We also found that the prompts and structure of the activity supported prospective teachers by increasing their depth of noticing and their foci in noticing, moving from attending primarily to teacher moves (and merely describing what they saw) to becoming aware of significant interactions (and interpreting effects of these interactions on learning). Implications for teacher educators interested in designing and enacting activities to support noticing are discussed. This material is based upon work supported by the National Science Foundation under Grant No. 1228034. Any opinions, findings, and conclusions or recommendations expressed in this material are those of the author(s) and do not necessarily reflect the views of the National Science Foundation.